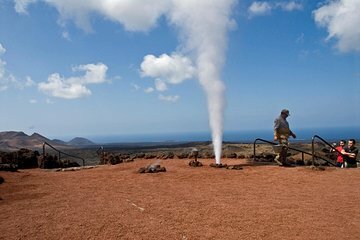 Thoroughly explore the south of Lanzarote without spending too much money on this full-day guided tour. See the volcanic landscape of Timanfaya National Park and take an optional camel ride (own expense). Go wine tasting in La Geria, marvel at the oddly-shaped cliffs and underwater caves of Los Hervideros, and take in the views of the half-sunken crater and black-sand beach of El Golfo.